Managed dedicated hosting can take off a good deal of load of your shoulders. By offering a full range of hosting options, depending on your company’s needs, a dedicated hosting vendor with inclusive professional expertise can help you launch a blog, a small or medium business or an online retail store. When you lease an entire server that is housed in a data center of a service provider and get the benefit of all the resources for yourself, it is called dedicated server hosting. Generally, a hosting vendor offers dedicated server hosting with two options - unmanaged hosting and managed hosting. If you choose unmanaged hosting, the hosting vendor will set up the hardware, install the operating system and the control panel and also provide maintenance services of the hardware and the network. No other assistance is included. In managed hosting, the hosting provider sets up and configures the hardware, offers technical support, provides patch management, system maintenance monitoring and updates. • Intrusion detection and DDoS (distributed denial of service) prevention and alleviation. As can be seen from above, managed dedicated hosting can be a powerful solution for businesses. Businesses choose dedicated server over VPS because they want a powerful server as a company policy and because of software requirements. Here are a few compelling advantages of managed dedicated hosting. Breakdowns happen at odd times. If there is malware attack or any other disturbance, productivity can get held up indefinitely with adverse impact on revenue. The only approach to preempt such an occurrence is by having dedicated expertise at hand all the time. A security flaw at your end can mess up multiple sites. Servers have same back ends. The flaw can compromise customer and employee databases. In such a scenario, managed hosting can help preempt errors. Deciding which patches are right for a particular system can never be easy going. You need to maintain the current knowledge of available patches to ensure patches are installed properly. With managed dedicated hosting you will have experts taking the right steps to avoid issues. They will perform backups and test patches on non critical systems preceding installation. In case of a serious untoward event, the first task of the IT staff is to restore the systems that are critical to business functions. This may not be always possible in-house. If you do not have a Disaster Recovery policy in place, the hosting vendor’s specialists can assess your system environment and suggest a potpourri of solutions that can help you achieve your recovery goals. Without the right help at the right time DR can prove to be very expensive. An experienced team of professionals can provide appropriate solutions and ensure they are leveraged to meet your recovery goals within your budget. At times unusually large number of bogus requests can overwhelm your system and network. In other words distributed denial of service (DDoS) will deny your IT staff access to system, and attack vital resources and CPU utilization. With the help of Managed Dedicated Hosting you can avail of inclusive DDoS protection and mitigation. Business criticality will demand that you must perform proper diagnostics. A thorough vulnerability assessment will plug security loopholes in server, network, and communications infrastructure. • Suggest solutions to eliminate exposed vulnerabilities. A compelling advantage of managed hosting is it is flexible. It is not uncommon for projects to alter in scope and duration. In such a situation you may need more resources to put up with the demand. With unmanaged hosting it can take a few days for additional servers to be allocated. On the other hand, with a dedicated staff on your side you will get more resources the very day. 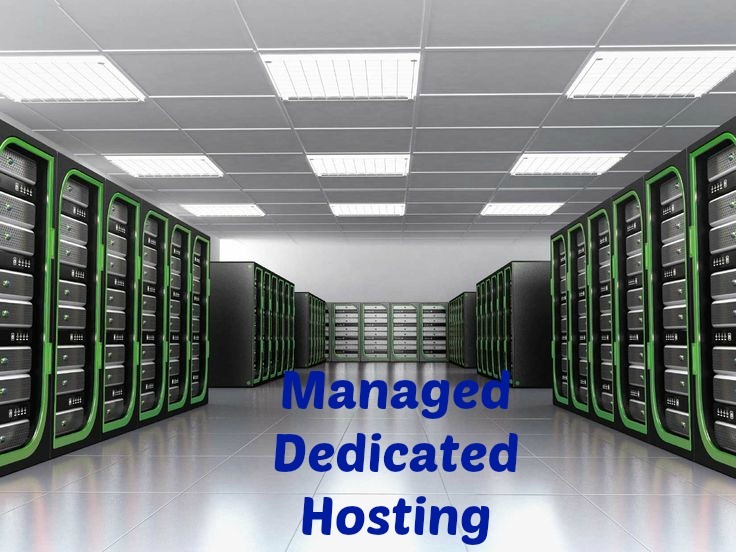 To conclude, managed dedicated hosting allows you to get the best servers with the support of on-call staff 24 x 7.